What Are Those Crazy Greens?! Frequently people visit the Farm to Family Market or the Farm Bus and are curious what those crazy looking greens are! They are creasy greens, an old-time staple southern food in the mustard family which used to be foraged wild, but are now cultivated. Old-time country folks get really excited when they see them and buy them up by the trash bag full! They thrive in colder weather, and are hardy in the snow, and are often the only fresh green thing growing in Virginia snow-covered winter fields. Eating local in January and February can be challenging, but try adding creasies to your shopping or foraging list. Creasies are nature’s answer to our winter need for vitamin C. Wild foods forager, Euell Gibbons, reported in his book Stalking the Healthful Herbs, “100 grams of winter cress contain an impressive 5,067 I.U. of v Vitamin A and 152 milligrams of vitamin C! By comparison, the same weight of raw broccoli spears rates only 2,500 I.U. of vitamin A . . . and oranges (which of course are universally acknowledged as a good source of vitamin C) provide a comparatively measly 50 milligrams of C per 100 grams! ” That’s a pretty hefty punch. I find myself craving them, and many people also say the same thing, “Gotta get me some creasies!” Creasies remind me a lot of watercress for their dark green peppery flavor, which my mom used to take us foraging for, only these grow in sandy soil, not in the wetlands. We get our creasy greens from Hanover County, VA. Sam, our greens farmer, has been farming for a long time, as has most of his family, and his face is brown from the sun and wind. He’s a man of few words, but has a big smile and laughs a lot. In the summer, Sam has the prettiest okra, and delicious sweet potatoes in the fall. He grows greens for us in the wintertime, hardy creasies, kale and collards. Unfortunately the kale and collards have been burned and stunted by the frigid cold wind this year, but the hardier creasies have survived. Sam is confident that once the weather mellows, we’ll have another round of the collards and kale before Virginia’s heat hits. I enjoy visiting with Sam when he comes by, and I feel his pleasant energy goes straight into the food he grows, giving it a special nourishment. 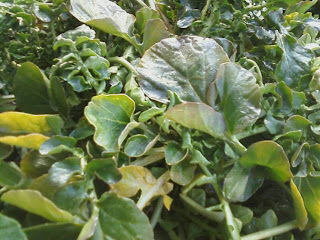 Nibbled raw, creasy greens have a spicy, peppery flavor, similar to watercress or arugula. When cooked, that peppery flavor dissipates. To prep, rinse them thoroughly before using, to get all the sand out, carefully separate the intertwined plants, and trim off the larger stalks. Depending on how you are going to use them, and if you like stalks, you can use them whole, or strip off the leaves. I usually trim off the larger stems, and either give them to the chickens or see if the dogs want to eat them. Chickens in particular really love anything green, and go crazy over them this time of year. They can be chopped up and used raw as garnish, or in fresh salads, as many of the farm to table restaurants we work with in the Richmond area serve them. Their peppery goodness works especially well with eggs, and make an excellent addition to quiche, egg salads and deviled eggs. You can add them to sandwiches, like you would watercress. Or my favorite, is braised greens, recipe below. 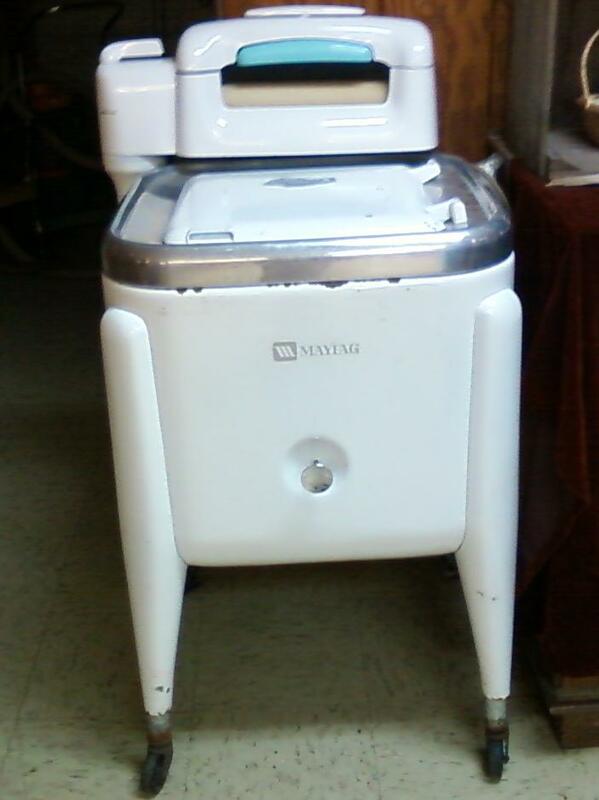 The Maytag is a key kitchen gadget here in the South. Take your greens for a spin on the gentle cycle! You can cook them slowly, southern-salad-style, with side meat for flavor, as you would collards (the Southern use of the word “salad” for something cooked still confuses me.) Tim Vidra, who writes the RVA blog, E.A.T. has a great post and recipe on how to cook them this style. He includes a handy hint on how to get all the sand off the greens – take them for a spin in the washing machine! These southerners love to use their washing machines to cook with. 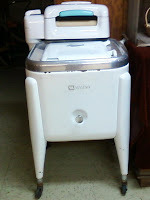 The old wringer washer in our market used to belong to one of our Mennonite farmers, who made butter in it! If you are interested in growing creasy greens, you can get seeds from Southern Exposure Seed Exchange. Here’s the greens recipe I like to make. Modify it according to your dish, ingredients handy and your mood. 2 bunches fresh greens, about 8 cups, washed, de-spined and coarsely chopped. You can also sub kale, collards, mustard or turnip greens, or a mixture of winter greens. Heat oil or drippings in a large skillet over medium-high heat and add greens and garlic/ginger, stirring to coat with oil. Stir occasionally until greens are barely wilted and still have a green color, just a few minutes. Add seasonings and toppings as desired and serve. A beautiful post and you reminded me that I have some in the freezer that will come out soon and be enjoyed! Tim, can you explain the southern use of the word “salad” for cooked greens? I'm always confused when folks come in looking for salad, and I show them our hydroponic lettuce! I grew up in the mountains of Virginia and everybody made butter in the old ringer! My mother would send us down to the spring house in the cold weather to pull creasy's so we could wilt them in hot fat and onions for supper. This afternoon I picked some creasy greens growing next to some hay bales out in the field … chopped them up, sauteed them in olive oil and put them into some spaghetti sauce. Delicious!!! Creasey greens are new to me. I saw them in Suzi's store this fall and said, “Oh, watercress. Where did you get it this time of year?. My only experience with cress was watercress that grows in a spring fed brook back in Northern New York and is only good in the spring. By the time it blossoms, it's past picking. I used to take watercress sandwiches to school for lunch. Bread and mayo in a sandwich bag and the cress in a plastic box. I would sit in the teacher's room and assemble my sandwich. Invariably one of the teacher's would ask, “Just what are you eating?” As we teachers would always say, “Educational moment!” And I would have to explain what watercress was and where it grew. Even give them a taste. And the sandwiches were sooooo good. @Marty/Mom — those sandwiches WERE so good!